Green energy firm Triodos Renewables aims to deliver a 10% return for investors via its latest share issue. Renewable energy firm Triodos Renewables is looking to raise £5 million through a share issue on crowdfunding site Trillion Fund, and is tempting investors with the prospect of potential returns of up to 10%. Investors can buy a stake from as little as £50.16 (the equivalent of 22 shares at the initial offer price of £2.28). Triodos Renewables is founded and managed by Dutch bank Triodos Bank. The prospectus for the share issue states that the long-term aim of the directors is to deliver average annual returns of between 9% and 10%. They want to do this through a combination of capital growth and the payment of dividends. However, this is very much a long-term plan – the firm envisages this to be over a 15-20 year period. So this is not a get-rich-quick investment. Triodos say that, for those who aren’t willing to stick it out for such a long period, shareholders who have been selling their shares on the secondary market of through its share buy back scheme are getting between 5% and 6%. So how realistic is its aim of up to 10% returns? The share price has grown steadily in recent years – in 2005 it stood at £1.40 a share, and has now reached £2.28, a jump of 63%, so there's pedigree there. Triodos Renewables has also paid dividends in eight of the past nine years (no dividend was paid in 2011 as 2010 was an “exceptionally poor wind year” in the UK). Over the past three years, the average dividend yield has been 1.7% per annum. But bear in mind past performance is not a reliable indicator of what will happen in the future. The closing date for the share issue is 28th November 2014. So far it has raised £325,994. The money raised from the share issue will be used to expand its renewable energy capacity. 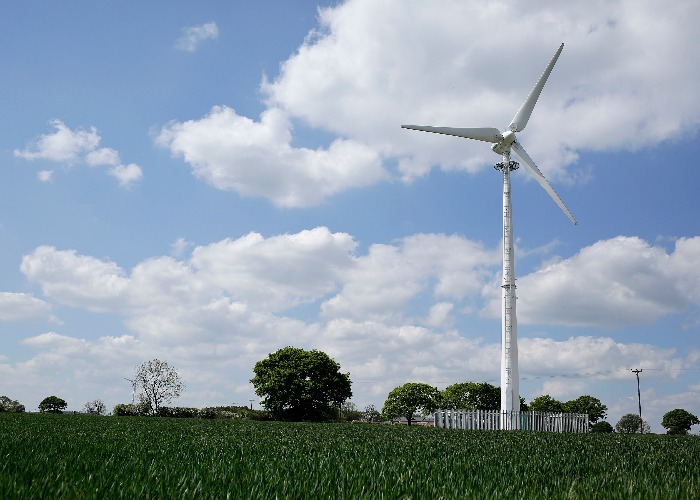 Up to now Triodos has built energy projects generating 53MW of renewable energy. This funding will mean it can add a further 8-10MW to that total. Triodos has eleven projects in operation in the UK at the moment: 10 wind firms and one hydro-electric project. It has four more wind farms under construction, two of which will be operational later this year. The firm emphasises that it focuses on “low risk, mature renewable technologies” which have proven financial returns. This is an investment, so there are plenty of risks. For one, the value of the shares could fall. There’s also the role of the Government. If feed-in-tariffs or Renewable Obligation Certificates are altered, then the profitability of Triodos may take a hit. Similarly, the firm is at the mercy of the climate itself – it could not pay its dividend in 2011 due to a bad year for wind, after all. You may be able to add an investment in Triodos Renewables to a SIPP or a SSAS, depending on your provider, but you can't hold it in an ISA. What do you think? Will you be investing? Does ethical investing appeal to you? Let us know your thoughts in the Comments box below. British banks beat stress tests: time to invest?